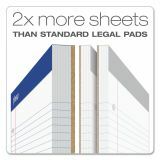 Twice the sheets of other pads, plus a sturdy backing for easy handheld use. 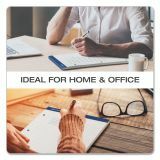 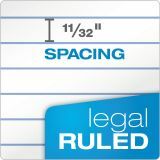 Ampad Double Sheets Pad, Legal/Wide, 8 1/2 x 11 3/4, White, 100 Sheets - Perforated writing pad features 100 sheets of premium-grade 15 lb. 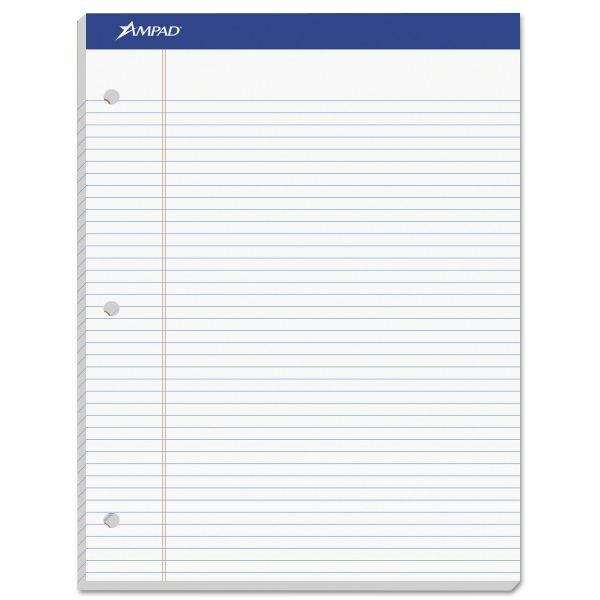 paper and a printed top sheet. 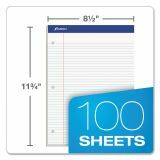 Each sheet is ruled and perforated sheet for a clean-edge tear-out. 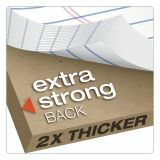 Super stiff, 80 point, chipboard back provides writing support.